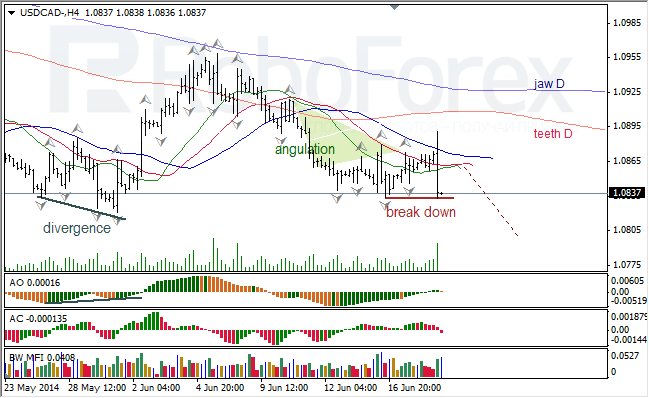 At H4 chart of USDCAD, Alligator is sleeping, bullish fractal is completing, AO is near balance line, AC is in the red zone. MFI can show growth, squat bar can appear. Bullish fractal can reach teeth line (red one), then I expect breakout of fractals to the downside. 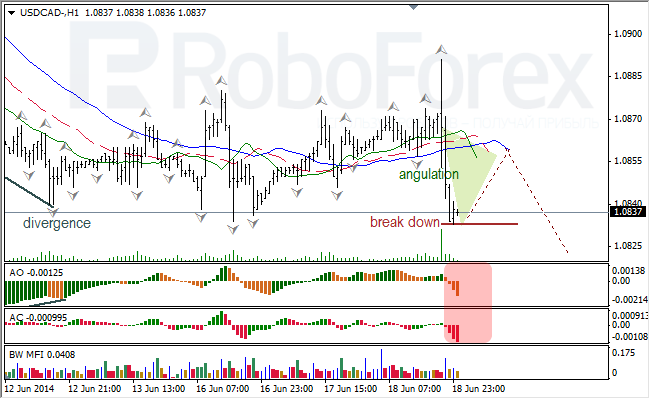 At H1 chart of USDCAD, Alligator had reversed to the downside, AO and AC are in the red zone, squat bar is seen on MFI. I expect that angulation will be liquidated and fractals will be broken out to the downside. At H4 chart of NZDUSD, Alligator is ascending. AO and AC are in the green zone. MFI grows and squat bar can appear. 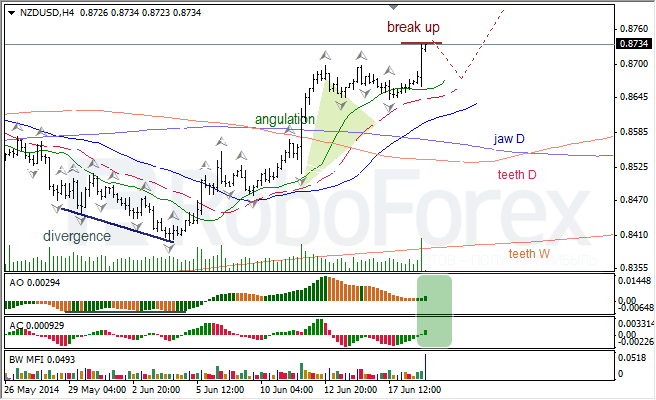 Bearish fractal can reach teeth line of Alligator (H4), then I expect breakout of fractal to the upside. At H1 chart, Alligator is heading up, AO and AC are in the green zone, MFI has squat bar. 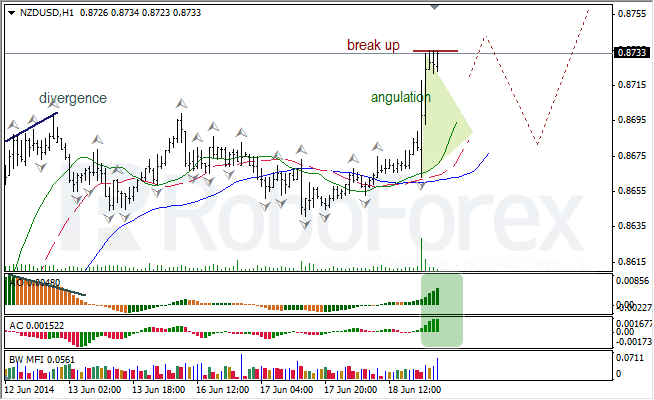 Angulation is expected to be liquidated and bullish fractals broken out to the upsde.